In order to carry out the processes that keep your body alive, your body needs to be fed (given fuel). Thus, your body is in a continual state of hunger which can be quickly relieved by eating. Having food present in your GI tract neutralizes the feeling of hunger which helps you to feel calm both physically and emotionally. Once your body metabolizes this food and utilizes it to carry out the functions that it needs to survive, you feel hungry again and it’s time to eat. Simple. But not really, right? If hunger were such a basic biological process, then no one with access to food would ever starve or overeat, right? Well clearly that’s not the case. Somehow, along the way, when food became plentiful and a doctrine of thin became dictatorially pervasive, our minds and bodies began to disagree on what we should eat and how much we should eat. We have more access to food and we have more rules about what our bodies are supposed to look like. Food is everywhere, it’s advertised all over the place, but so are promises of an ultra thin body if you follow this one diet- the very last diet you will ever need. It’s not uncommon to be watching TV when a commercial for the Olive Garden’s never ending pasta bowl comes on followed by and advertisement for NutriSystem. Wait. What? It’s kind of insane. It’s like the media wants us to have eating disorders because it’s the only way all sides win. EAT! EAT! EAT! STARVE! STARVE! STARVE! EAT! EAT! EAT! STARVE! STARVE! STARVE! EAT! EAT! EAT! STARVE! STARVE! STARVE! EAT! EAT! EAT! STARVE! STARVE! STARVE! It’s incredibly confusing and messes with our ability to understand what we need or don’t need physically. No wonder our cues for hunger and satiety are so out of wack. We are told at some young age that we need to lose weight and so we begin to deny our hunger. Then, of course we binge because we are biologically predisposed to overeat after times of restriction to keep our physiological processes going. This is a survival mechanism, just in case we are restricted food again, we must binge to stay alive. But then, our neurosis kicks in, full of guilt, full of shame, full of anxiety, and we either start some kind of new diet to gain some control (thus denying our hunger which ultimately backfires) or we eat compulsively to stuff the feelings of stress and anxiety. We begin to confuse real physiological hunger with cravings or we begin to deny our hunger and confuse the feeling of hunger with virtuosity, self control and willpower. When you don’t eat enough, your body begins to shut down. You become tired. Your body tries to conserve what it has to carry out basic functions such as respiration. When you go long periods of time without eating, your organs shut down and you die. This is what happens with anorexia and unintentional starvation. When you eat more than your body needs, you are overloaded with energy and your body has to work extra hard to process that food. This is why people often feel sluggish and tired the day after a binge. For you biology nerds out there, check out this more in depth piece on the pathophysiology of digestion. But so how do you know if you’re hungry or not? 1. )When you think that you are hungry, ask yourself how you know that you’re hungry before you eat anything. Sometimes people think they’re physically hungry, but they’re actually bored, procrastinating, tired, anxious, lonely, angry, stressed, sad, happy or thirsty. 2. )Check in with your physical cues for hunger. These signs might be your stomach growling, pain in your stomach, a feeling of emptiness, a lack of energy, fogginess, lack of concentration, headache, dizziness, obsessing about food, or other feelings. Your body will let you know when it is ready for more food. 3. )If you are not having any physical cues of hunger, see if you can wait 10-15 minutes and do something else. Set a timer and walk around the block. If you are still obsessing on food, think about what it is that you actually need. Sometimes it’s easier to just eat than to deal with the real issue at hand. Food is always there if you need it, but push yourself a little bit to tend to your other needs. Eating can be a way of neglecting our other needs. 4. )Don’t neglect your body if you are hungry. Feed yourself. The hunger and satiety scale can be helpful here. This is a scale that helps you to relearn your hunger. At this point, you have denied your hunger for so long that you don’t even have any symptoms of hunger. Your body is in starvation mode. Your metabolism is slowing down. You probably feel low energy, tired, and empty. At this point you feel like you’re starving. Your body is just looking for nutrients before it shuts down and you begin running on adrenaline. This is this place where many people binge. Your body needs food now and will eat as much as it possibly can to get the nutrients it needs to run without you having the power to intervene. You are thinking about food a great deal now, unable to focus on work or conversations. You notice that your stomach might be beginning to growl, you begin to lose your focus a bit, you are becoming distracted easily. This is when your first thoughts of food begin, or, if while you are eating, you stop too soon, still feeling as though you need more food. At this point, you don’t feel hungry, nor do you feel full. You are not fixated or even thinking about food. You are able to be productive and focus on work or conversation. You have eaten enough to feel content. You have fed yourself what your body needs. You are no longer hungry, yet you are not feeling too full. You are able to stop eating at this moment if you want. You are a little more than satisfied, you aware of the feeling of food in your stomach, possibly feeling as though you’ve had a few bites too many. You are feeling your belly pushing out, you feel like you’ve had too much. Your body feels uncomfortable. You just want to go to sleep at this point. You might be feeling depressed or regretful. At this point, you feel like you might throw up. You have eaten so much that you are in pain. Your belly hurts and you can’t focus on anything else. When using the hunger and satiety scale, you should try not to let yourself get lower than a 3 or higher than a 7. Meals and snacks should be slow and mindful to allow you to understand what your body needs. It’s not easy to get this after spending years dieting, restricting, bingeing or comfort eating. I suggest starting by checking in with yourself a few times a day. Am I hungry? Where am I on the hunger and satiety scale? When you find that you are at a 4, you know that you are going to need a snack fairly soon. And then, at meal times, before you eat, ask yourself where you are on the scale. If you consistently notice that you are at a 2 or lower when you begin your meals, you are waiting too long to eat. This can of course lead to bingeing because your survival instincts are kicking in and storing up food for the next starvation cycle. When you are halfway through, put your fork down and ask yourself again. 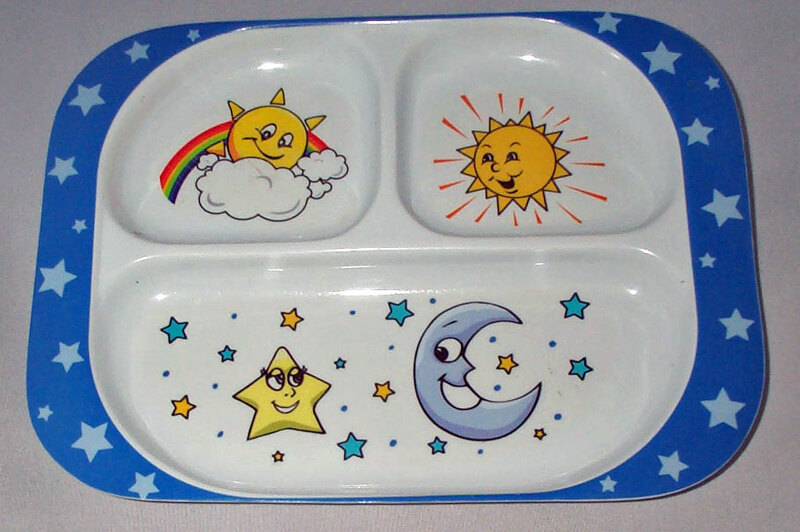 If you are at a 5-6, try and put your food away for a couple of hours then let yourself return to it rather than finishing everything on your plate. This is to help you remember that you do have more food coming to you when you need it and that you don’t have to compulsively eat what’s in front of you. As you begin to understand what you personally need, you are able to take care of yourself better. There is no set time for how long you should wait between meals. We are not all built to scale. We are different sizes, different shapes and have different structures, and thus different needs. Some people need to eat every 2 hours, some people can go longer periods of time without eating. Find out what you need, don’t look to someone else’s plan to tell you. leora (at) leorafulvio (dot) com. Today I spent the afternoon at a presentation by Andrea’s Voice author Doris Smeltzer. Ms. Smeltzer lost her 19 year old daughter, Andrea, to bulimia 11 years ago and now has a book and foundation dedicated to the prevention and treatment of eating disorders. Andrea’s eating disorder began as a regular old diet that lots of 19 year olds wind up doing when they start college. Diets, of course can be deadly. And for so many reasons. There’s the obvious reason, where one can take a diet too far and become anorexic, but then there’s the other (and more common) reason. When people diet, they deprive themselves. Eventually, they will binge. And sometimes they will purge. 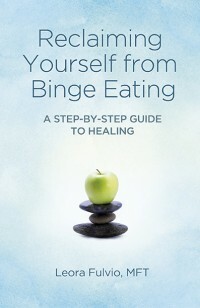 The majority of binge eaters are also compulsive dieters. They always think “Oh, this time, this will be the diet that changes it all…” It’s not about willpower. Our psychological makeup doesn’t want us to restrict food. We are built to survive. So, when we go on a diet, willpower won’t help us to resist food. We are predisposed to find what we need when we have a belief that food is restricted or hard to come by. When we diet, we have the mentality, “can’t eat this, can’t eat that…” and a survival mechanism kicks in and we begin trying to eat everything we can get our hands on because we don’t know the next time we’ll let ourselves eat. Most people have a lot of black and white thinking about it. “I am going on a low carb diet starting tomorrow, so night, I should really eat everything I want since I won’t be able to for a long time.” Usually after 2 or 3 days (and often after 2 or 3 hours into the first day), it backfires and you’re bingeing again. Andrea had only been exhibiting bulimic behavior for a year when she died. We forget how quick and deadly bulimia can be. Not only are you depriving yourself of nutrition, but when you purge and/or drink excessive water, you are changing the balance of your electrolytes. When certain electrolytes go out of balance (when your potassium levels drop) your heart can stop. It can happen in a moment and it can happen to anyone. Purging, starving, overexercising, or hyponatremia (O.D.ing on water) can cause it. I knew a woman who had a heart attack at the age of 26 from abusing laxatives. Fortunately, she lived through her trauma and recovered from her eating disorder. Many people aren’t that lucky. Remember Terri Schiavo? She was another casualty of an eating disorder. She suffered from cardiac arrest at the age of 27. The primary assessment was an electrolyte imbalance most likely due to purging and food restriction. So, how can you become healthy? Go toward health! But what if you believe that you need to lose weight? You might, but you might not. Let yourself eat! But let yourself eat healthy, without forcing yourself to go hungry. Exercise! But not in a punishing way, do things that are fun for you. Go outside, play frisbee, basketball, go for a walk or a run on the beach or through your town, go on a bike ride. Eat lots of fresh fruit and vegetables. Go to farmer’s markets, find new produce, give your body what it needs to be strong. For lots of people, giving up dieting also ends bingeing. Not for all people, but for chronic dieters who also happen to be compulsive binge eaters, ending the diet ends the binge. They are different sides of the same coin. Let go of one and the other goes away. What’s really sad is that for every one person who is trying to be healthy and go toward healthy balanced mind and body, there are another 1000 people who are trying to push a certain diet plan. There is always some kind of promise of doing some kind of new revolutionary diet plan and finally becoming thin and therefore happy. There are all those commercials on TV with before and after pictures of people. In their before pictures they are large but miserable. In their after pictures they are slim and happy. They do testimonials about how they weren’t hungry at all on their diets, how they used to be miserable when they were large, but now that they are thin, their marriage is great, they are back in school, and they are rich! Whatever it is, each new diet not only promises a slimmer body, but a wealth of riches that come with it. A veritable smorgasbord of every jewel that life has to offer waits for you at the end of this diet. It’s not true. You won’t find happiness in a diet. But you might find some more freedom and happiness in letting go of diets and going towards health. When you empower yourself to eat what your body needs when your body needs it and to exercise it enough, your body will reward you with energy and strength. Will you be thin? Maybe, but maybe not. When you go toward health you go toward the positive. You are trying to achieve something. When you go toward skinniness, you are going toward the negative, you are trying to lose something. Your body deserves love, no matter what size it is. Love comes in all different forms. Feed it lovingly with life affirming fresh food – don’t starve your body or punish it, don’t stuff it uncomfortably with artificial, unhealthy food. Exercise it lovingly and gently (and sometimes hard when you have the compunction). Don’t punish it by pushing it to exercise when you are tired or sick or injured. Give it kind words and send it loving messages instead of telling it that there is something wrong with it. This is yours! It’s the only body you get! It’s a gift and itt deserves to be cherished, treated with respect, love, and kindness. You are beautiful just by the nature of being human. You might not look like Gisele Bundchen, but nobody does except for Gisele. You look like you, and that’s pretty great. “Do The Next Right Thing,” a phrase borrowed from 12 step programs is an invaluable piece of advice. We can’t always do the right thing, but we can sit down, take stock of where we are, and do the next right thing. It might have been a terrible night. You might have drank a liter of vodka, ate 2 entire pizzas, drunk dialed your ex and cried to his voice mail multiple times. It might not be so dire, your house might just be messy and you’re aggravated. These are all parts of life and being human. We all mess up, we all suffer at some point and we all You can’t change the past, but you can take stock of what’s happening in the present and do the next right thing. What might that be? Maybe it’s to choose to prepare a healthy next meal for yourself. Maybe it’s to make your bed. Maybe it’s to send out your resume. Maybe it’s to do one those simple things that you’ve been putting off, like sweeping your kitchen, or changing your light bulbs, or watering your plant. We just can’t be perfect. We just always mess up as human beings. All of us. All the time. It’s just part of it. And when it comes to food, well, we mess up with food all the time too. You can’t go back and time and undo it. But you can go forward and do the next right thing. Don’t think about the next right thing as being a compensatory behavior for the binge, such as purging or over exercising or fasting/starving/restricting. If you do that, you are still contributing the binge rather than having it be over and doing the next right thing. Stop. Take inventory. Think about what you can do next and do the next right thing. Fritz Perls, who developed Gestalt Therapy, encouraged us to understand the way we eat as a metaphor for the way we live. At your next meal, watch yourself eat. Do it without judgment and without trying to change anything, just watch. It can be enlightening to draw some parallels around how you eat and how you live. Do you take in all of your food at once without smelling it, tasting it, chewing it? Do you do that with life? Is that overwhelming? Do you avoid food? Do you avoid your feelings? Do you eat foods that you don’t like? Do you allow other people’s negative thoughts to invade the way you feel about yourself? Do you think constantly about what you’re going to eat next rather than focusing what you’re currently eating and enjoying it? Is life overwhelming because you’re always nervous about what might or might not happen in the future? Anticipating the next thing? When you serve yourself a meal, pay attention to what’s on your plate. Try not to anticipate what’s coming next or how much you should or should not eat. Just go ahead and begin to look what’s on your plate and to allow yourself to eat that. When you pay attention to your food and to your body and what it needs, you will find that at your next meal, you are able to make better choices about what you need. Your digestion will be a little easier as will your feelings of peace around food. In life, it’s the same thing. What’s on your plate? When you begin to worry and obsess about “what ifs” and the future, you can become overwhelmed. Pay attention to what’s in front of you. You will metabolize your experience more efficiently and be able to move through life with less worry, less anxiety, and with more of a sense of peace, knowing that you are clear and focused on what’s in front of you rather than what’s behind or ahead. 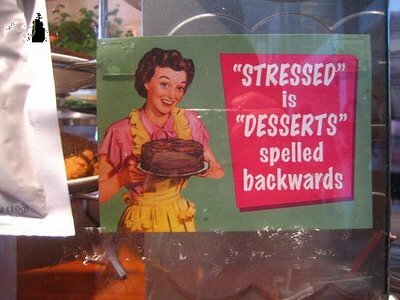 As I mentioned in my last post, stress eating is a result of one of two things. 1.) You have no control over the outcome of something, such as getting laid off or dealing with someone else’s reaction to something you said or did. 2. )You do have control over something, such as paying your bills or cleaning your house, but you can’t seem to get yourself to do it. In the last post, I discussed ways to soothe yourself as you accept the things you cannot change. Now, let’s discuss how to actually get the things done that you can control. 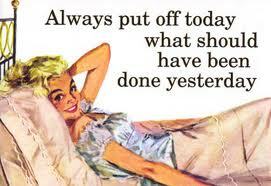 To procrastinate is to delay important tasks to an unspecified future time. Often, people will replace the task at hand with something that gives instant gratification such as snacking or drinking or watching tv, surfing the net or doing something else that isn’t particularly necessary and can even be harmful in the case of compulsive behaviors such as spending, binge eating or drinking. Procrastination usually results in guilt, stress and in some extreme cases, the behavior that replaces the task at hand (the procrastination behavior- what you do instead of studying/paying bills/cleaning/exercising etc.) can cause a crisis or an addiction. Because procrastination perpetuates itself, it can cause guilt, shame, and isolation as some people might feel bad for not being able to complete the tasks that they were supposed to in a reasonable amount of time. These feelings can cause further procrastination as the person avoids what they need to do and they anxiety around it and redirects their energy into preparing food and eating it. If you are already prone to binge eating, procrastination can be catnip for your behavior. 1.) Keep it Simple. This is not a black and white situation. You don’t have to complete this task perfectly. Sometimes people put off a task because it seems just so big and overwhelming.This is about progress, not perfection. Do the best you can. 2.) Take fifteen minute blocks. If you have something to do, set a timer for 15 minutes and just work on it for that long. After 15 minutes, reward yourself with a non-food activity, such as checking your email or facebook page. Give yourself a five minute reward, then get back to the task. 3.) Break it down into smaller bite sized pieces. Rather than cleaning out your whole closet, take just one corner of your closet and clean that section. Each day, take some time to clean out another small section. In a few days, it will all be done. Just do one small section, take no longer than 20-30 minutes each day if you’re trying to organize something. Eventually, it will be complete. 4.) Make a list of what exactly needs to be done. Think about which thing is the easiest. Begin to do the easiest things first, get that all out of the way. When you do, you will find that as you cross things off the list, you are feeling more confident and things are getting done and you are feeling more energized and confident about finishing your projects. 5.) Get a buddy. Talk to someone else who is a procrastinator and see if the two of you can plan to do things together. For example, you might meet at a coffee shop while you do your taxes and your friend works on her dissertation. You might get headphones and chat on the phone together as you clean your closets. If there is a particularly grueling task that you’ve been putting off, you might do them together, such as have a date to go to the DMV and then have tea afterwards. 6.) When you feel the urge to get up and go to the kitchen, set your timer for 20 minutes. Tell yourself that you’re just going to work on your task for 20 minutes, after that, you can go to the kitchen if you want. Hopefully this will offset the compulsive behavior and you will find that you are able to get absorbed in what you are doing. 7.) Remind yourself why you are doing the task and think about how you will feel when the task is done. Think about how you will feel if you put off the task by using food. Reminding yourself of consequences is a good way to keep yourself honest. Really think about the consequences of putting off the task by using food. 8.) Get away from a place that has your procrastination mistress, for example, don’t spend time in the kitchen. If you’re needing to do bills or taxes or work on homework or a paper or studying, get out of your house and go to the library. 9.) Bookend the task. Call someone before you start and tell them your intention. Tell them how long you expect the task to take you, tell them exactly what you’re going to do and how you’re going to do it, tell them that you’re not going to use food to procrastinate. Give them an approximate time as to when you will be done with the task and call them to let them know you’ve completed it. 10.) Give the task less power and yourself more. You are stronger than the urge to procrastinate. You are smarter and more able than the task. You can get this done. You have everything inside of you that you need to do this. So, just go ahead and do it.